Dubai desert safari is not just about seeing the breathtaking views of the Dubai desert. It is much more than just that. Any desert safari in Dubai will start with an amazing dune bashing ride. A professional driver will drive a 4×4 vehicle and make it an exhilarating journey for you. After reaching the camp in the deep desert, you have plenty of adventure activities to take part in. You can ride a camel, go quad biking on the desert or even try your hand at sand boarding. Watching the sunset or sunrise are special attractions but that completely depends on the time of the day you choose for your desert safari. An overnight desert safari is particularly perfect if you are in a group and in a party mood. Once you reach a desert camp, you can party all night under the open sky and enjoy BBQ party with your friends and family. You can enjoy some traditional music and appreciate the calmness of the deep desert. It actually depend on the type of safari you choose. A typical desert safari can start at 4-4:3 and can last till 10 or 11 PM. In case of overnight safari, you can stay in a Bedouin style tent and party all night and enjoy. 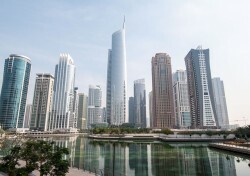 During the summer months, the temperature can be very high in Dubai. But it does not make a big difference if you choose an evening or overnight safari. The desert camps in Dubai are always decorated for its visitors in traditional Arab Bedouin styles. Food is an important part of any desert safari. For an overnight safari, a delicious BBQ dinner is a must. The dishes can include a good combination of Arabic and continental foods including hummus, various rotis, tandoor dishes, and kebabs. There are perfect arrangements for the vegetarians as well. Everything is fun in a desert safari, apart from adventure activities and luxury car rides in the desert, you can dress like Arab Bedouins to have the best feelings. A desert safari Dubai is always an exciting experience no matter how many time you try this. Especially if you are yet to try a desert safari in your life, you should not miss it out in your next trip to Dubai. The more people you have with you, the better you will enjoy your desert safari. 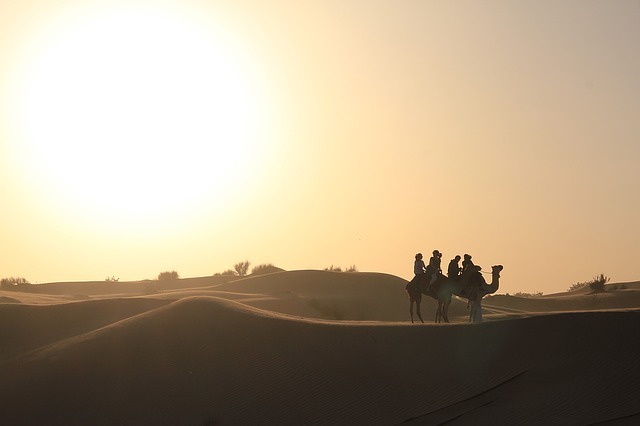 So, plan ahead for an unforgettable desert adventure in Dubai. If you love adventure, you should try hot air balloon adventure in these best hot air balloon destinations from around the world. What other adventures are you up to? Let us know in the comment section.